We would like to welcome you to our office. We take great satisfaction in helping you maintain optimal oral health. Our practice is devoted to comprehensive and preventive patient care. Our goal is to provide the very best dentistry available so that each of you may achieve optimal dental health throughout your lifetime. 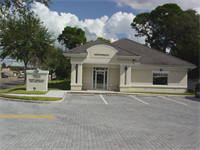 Services Kenneth Schweizer DDS is a dentist/dental office located in Sarasota, FL. A dentist is trained to diagnose, treat, and prevent diseases of the gums, teeth, and jaw. Please call Kenneth Schweizer DDS at (941) 926-4888 to schedule an appointment in Sarasota, FL or get more information.